1. Open Command Prompt and type: route print - you will see a list of active routes, the last column displaying their "metric". Lower metric routes are preferred over higher ones. 3. Open the properties of Internet Protocol Version 4 (TCP/IPv4). 5. Untick "Automatic Metric" and set the interface metric to a number. 6. Hit OK until you close the Network Adapter properties. 7. 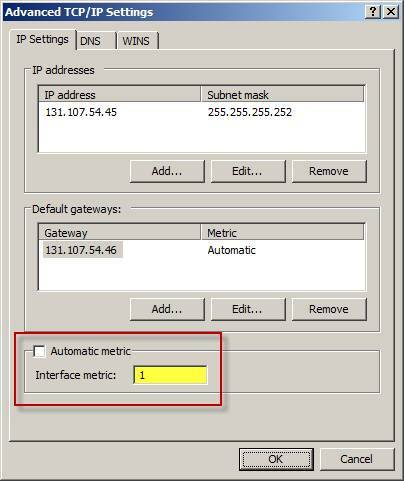 Repeat steps 2-6 for your other network adapter(s) choosing different metrics. Remember lower metrics are preferred over higher ones.